Are the Tampa Bay Lightning the Beasts of the East? Are the Lightning Beasts of the East? The Tampa Bay Lightning have been widely recognized as a Stanley Cup favorite since the beginning of the season. With the team hitting some bumps in the road as of late, there’s been a growth in concern among Lightning fans about whether this team is the real deal or not. There seem to be two sides to the Lightning fanbase when it comes to their play lately – the optimists who still see their team sitting first in the Atlantic and the pessimists who see the glaring holes in the roster and think there’s still work to be done before thinking about a Stanley Cup. Although it’s great to be positive, the reality is the Lightning have not looked much like the team we saw from October to December, and that will need to change soon. It’s become increasingly clear that the Lightning have issues defensively. Defensemen such as Jake Dotchin and Braydon Coburn are some of the notables to have played poorly as of late, resulting in healthy scratches at times. Mikhail Sergachev hasn’t played poorly but has slowed down his production and seen the typical ups and downs that come with being a rookie defenseman in the NHL. This forced general manager Yzerman to go out and make a significant trade to acquire Ryan McDonagh and J.T. Miller from the New York Rangers on Monday’s trade deadline. Though nothing is ever guaranteed, this trade presumably makes the Lightning a better team, especially in their own zone. There appears to be a lot more confidence in the Lightning’s defense core following the trade. Faith is restored in this team’s chances of winning a Stanley Cup in the next two seasons. However, acquiring McDonagh is simply half the work that needed to be done to help Tampa Bay’s defensive issues. The Lightning will have to show up and play better as a team before seeing any serious improvement. They’ve struggled on the penalty kill recently as well, dropping to 24th in the league in that department. McDonagh has experience playing on the Rangers penalty kill, so perhaps he can give the Lightning a hand in that part of their game. The Lightning are currently in a three-team race for the top spot in the Atlantic Division with the Boston Bruins and Toronto Maple Leafs. It wasn’t too long ago the Lightning looked like the clear favorites to win the division, however, both teams have managed to get hot and close the gap in the standings. The Bruins look like the Lightning’s toughest competition at the moment. With a 16-5-2 record since January, Boston sits five points behind Tampa with two games in hand. Meanwhile, Toronto holds a 9-1-0 record in their last 10 games, and have put themselves in the race for the division title as well. The Leafs have played two more games than the Lightning, but are four points behind. Though the Lightning’s struggles started to become noticeable in 2018, they still hold a 15-9-1 record since the new year, which isn’t bad at all. Considering they’ve been through their toughest stretches of the season, Tampa has held on quite well. The Lightning have a favorable schedule from now until the end of the season, with 14 out of their last 20 games at home. 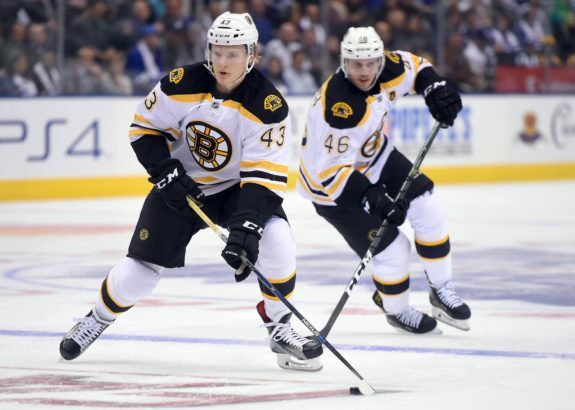 Nonetheless, the surge of the Bruins and Maple Leafs could be concerning and suggests the team needs to take it up a notch. The word that best describes the Lightning’s most continuous issue is consistency. Tampa Bay hasn’t been as consistent as they’d like to be in the majority of their games and are being bailed out by goaltender Andrei Vasilevskiy far more than they’d like. Players including captain Steven Stamkos have discussed it with the media during the season. On consistency: "It's about riding the momentum when you have it, and when it goes the other way, you try to stop it as quick as you can." The Lightning are known for playing their best in the second period and trailing off in third. Because of this, they’ve allowed some games to be closer than they should and are unnecessarily working harder to win. This is something they’ll definitely have to address come playoff time, as they can’t go into a series thinking Vasilevskiy is going to save them every time. If the Lightning can figure out how to constantly play at their best for 60 minutes, they have as good of a chance as anybody to win the Stanley Cup. 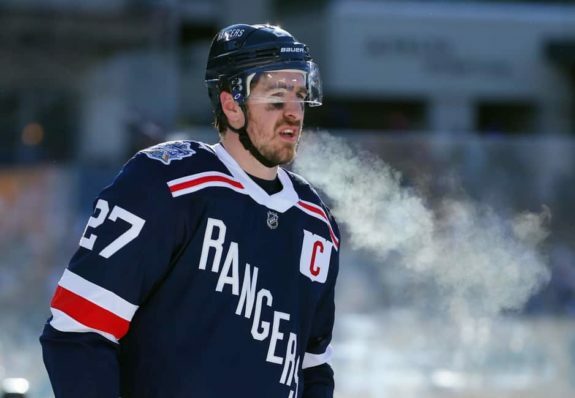 Add to the team an experienced, top defenseman in McDonagh as well as a skilled center in Miller, and the Lightning may have built themselves a team that brings home the Stanley Cup.